In the State of Maryland, there are three alcohol driving offenses that a person can be charged. Driving Under the Influence Per Se alleges that you were under the influence of alcohol AND you submitted to a breath sample of .08 or above. Driving Under the Influence alleges you were under the influence of alcohol, but there is no chemical score or a breath test. Both of these charges carry a maximum penalty of 1 year and/or a $1000 fine. In addition, you will receive 12 points against your driving privileges. Driving While Impaired is charged when officers believe an individual showed some evidence of impairment. Typically, the bar for establishing impairment under this charge is extremely low. An allegation of an odor of an alcoholic beverage, an admission of drinking, and some demonstrated clues on field sobriety tests have been enough to sustain convictions under this charge. DWI is a lower level charge than a DUI charge. A DWI conviction carries a maximum penalty of 60 days and/or a $500 fine. In addition, you will receive 8 points against your driving privileges. Maryland has a law commonly known as “Probation Before Judgment” or PBJ. If you are a first offender, a PBJ can be granted following a guilty finding in your case. A guilty finding can come from either a plea of guilty where you admit guilt to an offense, or after a trial before a judge or jury where you are found guilty after a trial. If you have not received a PBJ for a DUI within the previous 7 years, you may be eligible for this disposition. Under the PBJ law, a judge has the discretion to strike the finding of guilt from the record. This means that the guilty finding, legally known as a conviction, is wiped away instantly. A judge can then place you on probation. If you are successful on probation, then you remain free from the guilty finding. The probation can either be supervised or unsupervised, depending on the discretion of the judge. But there are two important effects of a PBJ. First, you can lawfully answer that you have never been convicted in your case. Additionally, you would not receive any points on your driving record that would typically come with a conviction for a DUI or DWI. A PBJ is a good result in a case, but it has to be earned, especially in a drunk driving case. You have to complete an alcohol education program to earn a PBJ and you have to remain compliant with any court orders as to the conditions of the probation. Ideally completing the alcohol program before court date is in the defendant’s best interest to try to obtain a favorable unsupervised probation. The government typically will not oppose a PBJ for first time offenders unless there is a collision involved in the case or there are otherwise aggravating circumstances. Furthermore, the government typically will offer a plea to the DWI charge if either: 1) there was a refuse to submit to a breath test or 2) there was a breath test submitted with a score under a .15. A PBJ is available regardless if you are found guilty of intoxication offense. 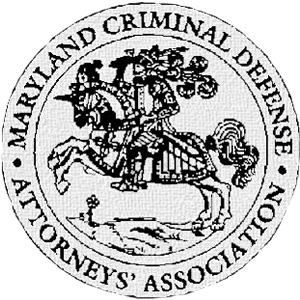 It is important to have an attorney representing you that knows all your rights and understands the state system in Maryland. This can be a difficult and stressful time. Call our office for a free, confidential evaluation of your criminal case at 240-753-8222.